A Mexican plant known as the Acanthocereus Cactus (get your breath back ), also known as Barbed-Wire cactus, has six species within it’s group. 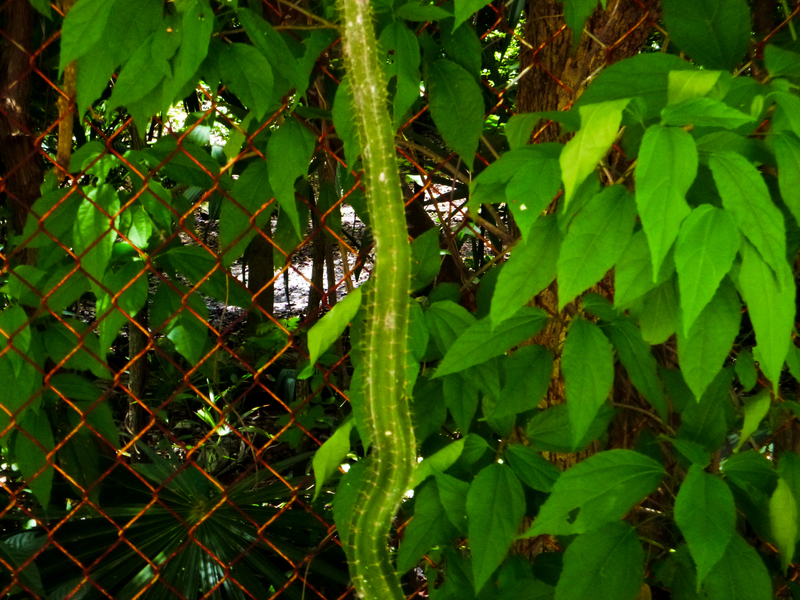 This cactus is very much shaped like a vine, and it usually has thin stems, which can climb several meters in height. We have some of these in the area we live in, and they are pretty cool. They can actually go up to 123 feet tall!! I’ve never seen one that tall though. As always, never touch a cactus, children. Another plant that has a complicated name is the Bartlettina Sordida. This plant can be called the purple torch, which is definitely easier to say than Bartlettina Sordina. (It’s not a real torch, and it’s not hot either, but it is purple.) This plant is an evergreen, which means it keeps its leaves throughout all seasons. This plant is one of the more pretty plants, and is placed in gardens and parks. It can grow up to eight feet tall and four feet wide, which is pretty tall, especially compared to the flowers we see in Illinois. Ipomoea Iobata is a flower that can grow up to ten feet in height. There’s probably an alternative name for this plant, but I didn’t see it, so you are going to have to endure the pain of saying Ipomoea Iobata. It originated in Mexico, Central America, and South America, and it is orange, yellow, and white. Being a deciduous plant, they wither during a certain season. They are put in gardens and look nice there. Next time you’re in Mexico, look out for these plants (especially the cactus; I’ve warned you ). They are awesome plants, even though they have no use, and look cool as well. Go ace your Botany test, now.